One thing I didn’t really touch on in the first two parts of this series is the topic of RAID Groups and binding between disks on the DPE / DAE-OS and other DAEs. It’s a minor point, but something people tend to forget when looking at disk layouts. Ever since the days of Data General, the CLARiiON has used Vault drives in the first shelf. For reasons that are probably already evident, these drives, and the storage processors, are normally protected by a Standy Power Supply (SPS) or two. The SPS provides enough battery power in a power failure scenario such that cache can be copied to the Vault disks and data won’t be lost. This is a good thing. The thing to keep in mind with this, however, is that the other DAEs in the array aren’t protected by this SPS. Instead, you plug them into UPS-protected power in your data centre. So when you lose power with those, they go down. This can cause “major dramas” with Background Verify operations when the array is rebooted. This is a sub-optimal situation to be in. The point of all this is that, as EMC have said for some time, you should bind RAID groups across disks that are either contained in that first DAE, or exclusive to that DAE. For RAID 1/0 – don’t do it, you’ll go blind. It’s a minor design consideration, but something I’ve witnessed in the field when people have either a) tried to be tricky on smaller systems, or b) have been undersold on their requirements and have needed to be creative. As an aside, it is also recommended that you don’t include drives from the DPE / DAE-OS in Storage Pools. This may or may not have an impact on your Pool design. So we logged a call with support, after reading emc234899 on Powerlink, which states that the alert is benign. Support have said it will be fixed in a future release of FLARE 30. Apparently not in patch .509 though, because the release notes make no mention of the problem being fixed. It’s no big deal, as the alert is benign, but it’s annoying for the people carrying the pager because it’s happening about 10 times a day. This is the first in a series of “death by screenshot” posts that demonstrate activities in Unisphere that I’ve found myself having to do, and thought that someone else may find useful as well. Today’s lesson is on setting NTP servers for the local domain. From the dashboard, click on Domains. 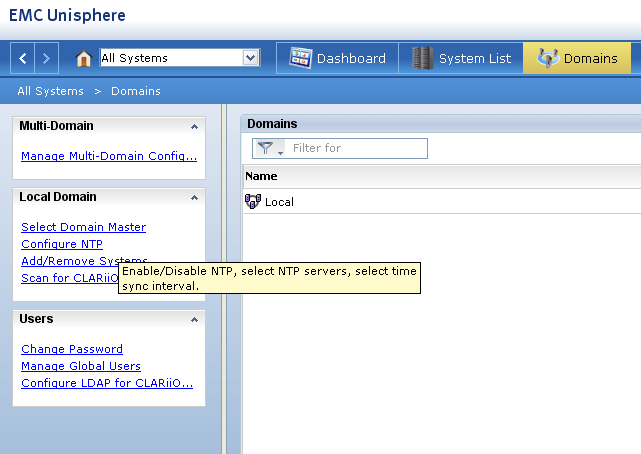 Under the Local Domain menu on the left-hand side of the window, click on Configure NTP to, er, configure NTP. 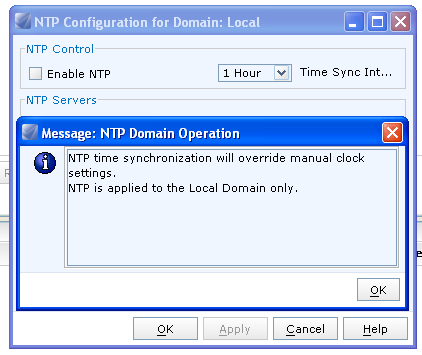 A friendly message pops up regarding NTP. You then have to actually do something. 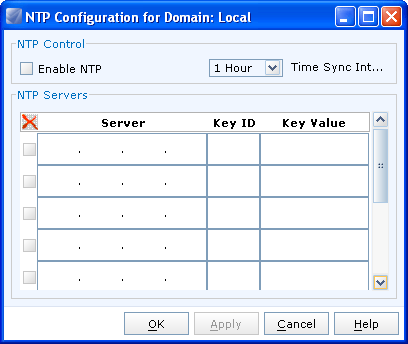 The first thing to do is tick the radio button to enable NTP, and decide on a synchronisation interval. You then need to add some IP addresses. In the following illustration, I’ve added 2 servers. 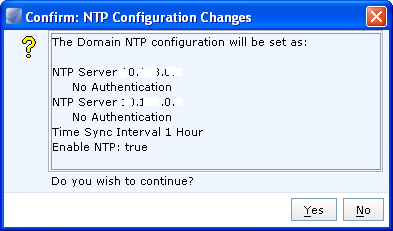 Click on OK and you’ll have the opportunity to confirm the configuration changes. 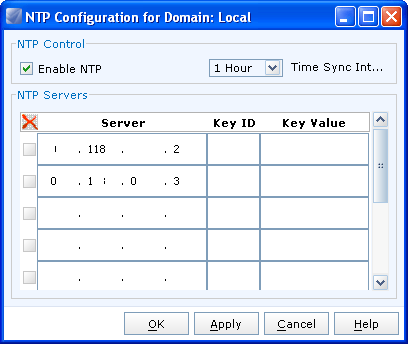 Seems like a trivial thing to post on, but I was scratching my head for a few minutes trying to work out where to configure NTP in Unisphere, and I thought you might too. So I’ve been known to do some silly things at times. And I have a habit of treating midrange storage arrays like fridges – they just work, and they’re about the same size. Of course it’s not always as simple as that. So if you’re looking for a way to cause a bugcheck on a CLARiiON CX4-960 running FLARE 29.003, all you really need to do is kick off about 8 or so RAID Group defragmentations at once, and then go into one of the RAID groups and unbind a LUN while it is defragmenting. Then the SP will scream silently and reboot. Of course, it’s long been known that you shouldn’t unbind LUNs on RAID groups that are defragging. Common sense, yes? EMC has ETAs that address these on Powerlink – search for emc145619 and emc153522. But there’s only so much they can do to protect yourself. So if you don’t want to see the following errors in your event logs, don’t do what I did. We were lucky that we didn’t suffer a data loss or data unavailable event. We do, however, still have an alert showing up that says “LUN (LUN XXXX) is unavailable to its server because of an internal software error. Alert Code: 0x7439 Resolution: Contact your service provider.” I guess we should sort that out at some stage. Description:The computer has rebooted from a bugcheck. The bugcheck was: 0x00000000 (0x0000000000000000, 0x0000000000800022, 0xfffffadf2de7d078, 0xfffffadffb8c3040). A dump was saved in: C:\dumps\crash.dmp. In the previous series of posts, I covered the despair and ultimate joy of getting to a point where I could recover a munted CLARiiON CX700. In this post, I’ll cover the process to recover the array to a working state, and the steps required to get the array functioning at a useful level. Having successfully performed a Utility Partition Boot, it’s ecessary to get the LAN service ports on the array configured in order to be able to ftp the recovery image to the array. Obviously, you’ll need the array and your service laptop plugged into a network-type thing that will enable frank communication between the arrays and you. ftp: 11 bytes received in 0.00Seconds 11000.00Kbytes/sec. Once you’ve successfully uploaded the recovery image, you’ll be good to go. It’s also important to note that the FLARE recovery image should be for the release that you intend to run. I didn’t consider uploading a Release 19 image, as I knew that these arrays had run Release 26 previously. In any case, jumping back into the Image menu on the terminal, it’s now time to copy the image from the RAM disk and then load it. You need to install this only on the SP that you have visibility of, as troubleshooting the installation to both SPs is tricky. Once the copy has completed successfully, the system needs to be reset, and you’ll see the SP reboot up to three times before it’s useable. Once this is complete, you can either load the recovery image to the other SP via Navisphere in Engineering Mode, or you can use the same method as described above. Note that, once the image is copied to the repository, it is not necessary to re-upload it, as both SPs have access to the files. In Part 1 of this series I talked about what looked like a borked CX700 and some of the options available to me to get it up and running again. I trawled powerlink looking for solutions and came across a number of articles that talked about ordering Vault packs and getting EMC CEs involved. As the arrays were no longer under maintenance, I didn’t have high hopes that this would be a process we could undertake. Option 33 is what we’re interested in to start with. 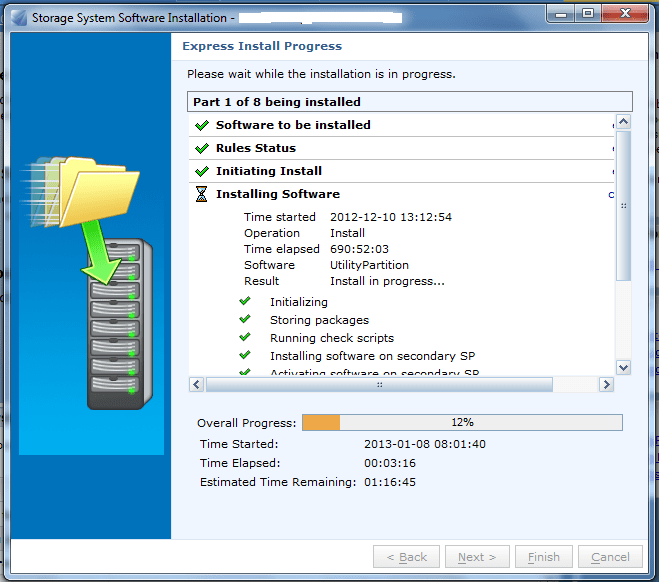 From here you can perform a Utility Partition Boot. Now that’s what I wanted to see :) – from here we just need to reload the FLARE image with ftp. I’ll cover this in Part 3. I’ve broken this post into three parts not because I’m trying to being a tease, but rather so it’s a little easier to digest and you can head straight for the money shot if you so desire. Part 1 covers the intitial failure and subsequent troubleshooting. Part 2 covers the eventual workaround to the problem. Part 3 covers the work that needed to be done once the problem was resolved. It’s strange to think of EMC’s CX700 CLARiiON array as a “legacy” array. Yet it’s now two generations behind EMC’s flagship mid-range array – the CX4-960. Our project was given access to two CX700s to use as test arrays for a multi-site data centre project we’re working on. That’s cool, as the CX700 is still a reasonably well-specced array, with multiple back-end loops and the a fair bit of useable cache (at least compared to the CX4-120). So after the data centre guys Macguyvered the kit into racks that were too big for the rails, we cabled the lot up and thought it would be a fairly trivial process to get everything up and running. As usual, I was wrong. The department that had provided these hand-me-down arrays had bought a service from EMC whereby the data was securely erased. For those of you playing at home, this is known as the “Certified Data Erasure Service“, and you can grab the datasheet from here. So basically, these arrays were saved from the scrapheap, but not before they were rendered basically unbootable. DDBS: Can’t read MDB from first disk. DDBS: Can’t read MDB from second disk. DDBS: Using first disk for boot – but inaccessible. Description: Dual-Mode Fibre Driver Exchange Error! Description: Disk not logged in Error! Okay, so that’s not cool. I had hoped that I would be able to boot from the Utility Partition, because the process to load the Recovery Image either from the repository or via ftp is fairly simple. At this point we started to think of a number of whacky alternatives that could be used, including, but not limited to, reconstructing the FLARE disks from another CX700’s hot spares, using the Vault disks from a CX300 and performing an in-place conversion to a CX700, and begging and pleading with our local EMC office for a Vault pack. None of these options really struck us as awesome ideas. Read Part 2 for the solution to the problem.